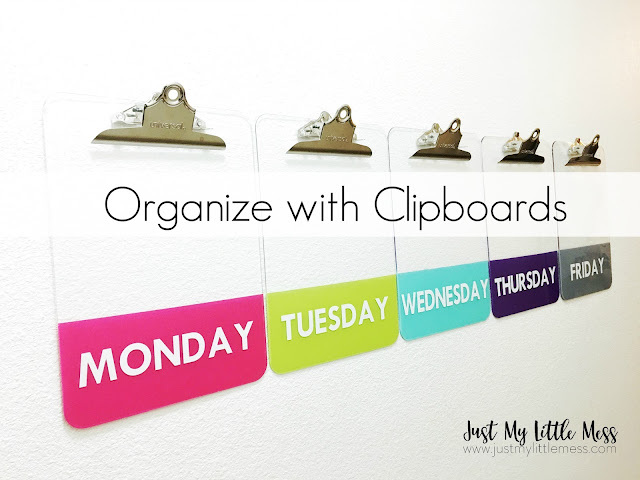 I'm always looking for better ways to stay organized. And sometimes I need reminders right in front of my face. 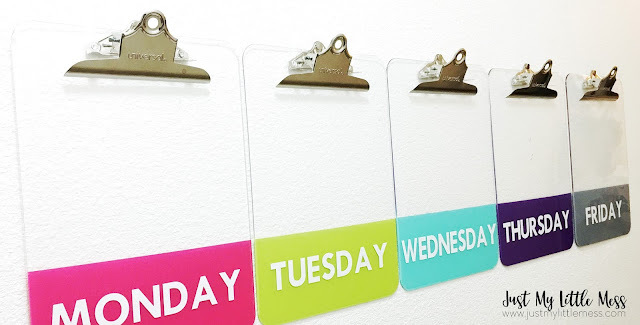 I'm using clear clipboards today to show you a quick way to stay organized. 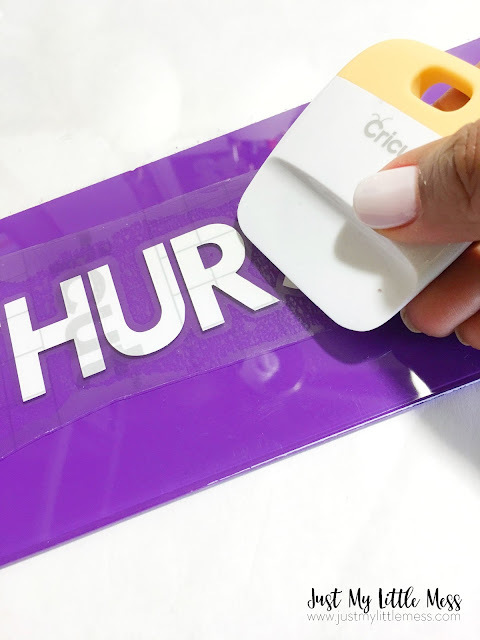 Remember, a couple of months ago I decided to start using Cricut Explore Air™, you can find more about the Cricut here. 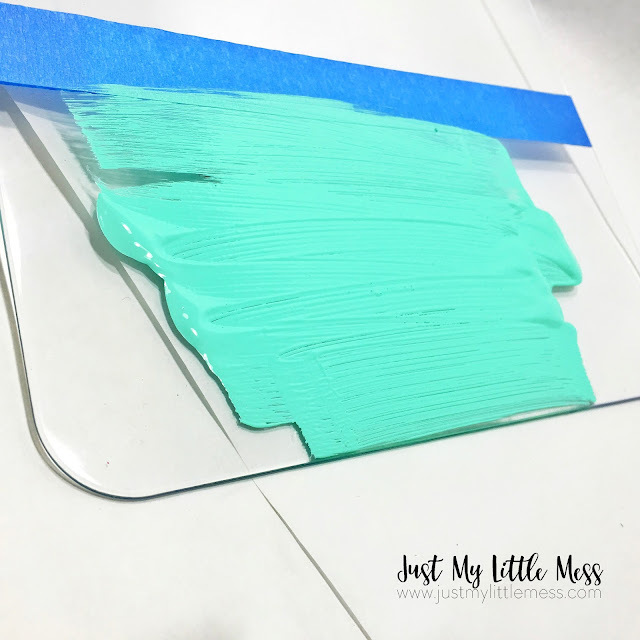 This project is super easy, it will take about 30-45 minutes + drying time. Here are the supplies you'll need to get started. Step One: Tape off your desired width on the back of the clipboards. 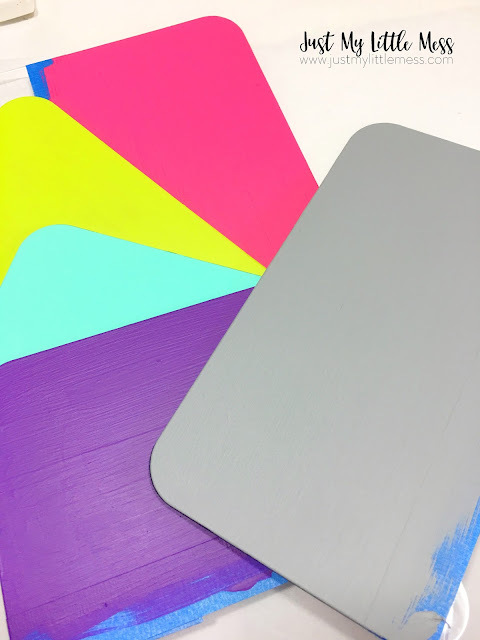 Step Two: Paint the backside of the clipboards in your desired colors. Step Three: Log into Cricut Designer Space and create words or labels, I used Monday through Friday. 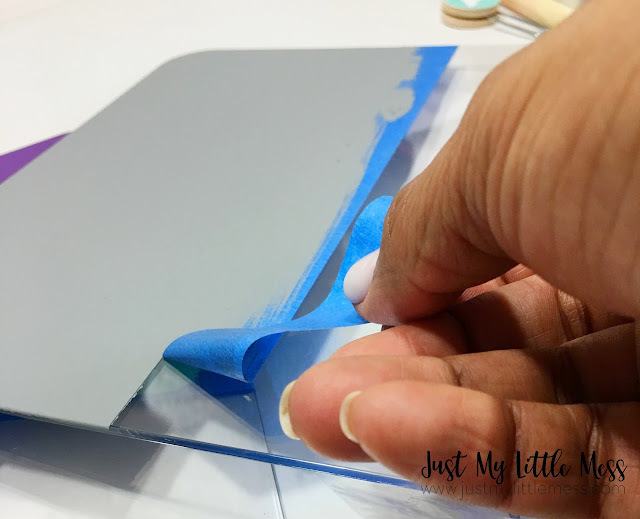 Step Four: Cut your vinyl using your Cricut Explore Air™ and use Cricut Transfer Tape to transfer the vinyl, set aside. Step Five: Paint clipboards a second coat. Let dry. Step Six: Remove painters tape. Step Seven: Add your vinyl labels to the front of the clipboards and hang. Hope you enjoyed this, leave a comment letting us know how you plan to use your clipboards.